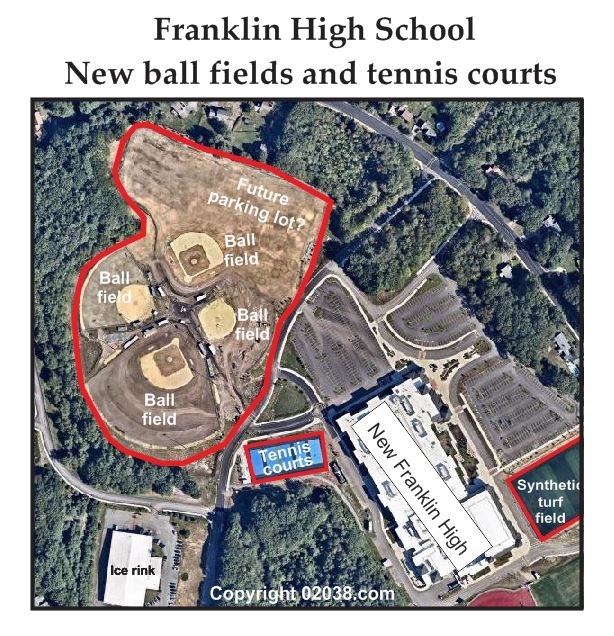 New ball fields and tennis courts are taking shape at the new High School in Franklin, MA. The installation work is the last phase of construction at the $105m+ school complex, which opened its doors to students at the start of the 2014 academic year. A new synthetic turf field is now open for use. It joins an older synthetic turf field already in service at Franklin High. There is also a natural grass athletic field that predates the new school complex. 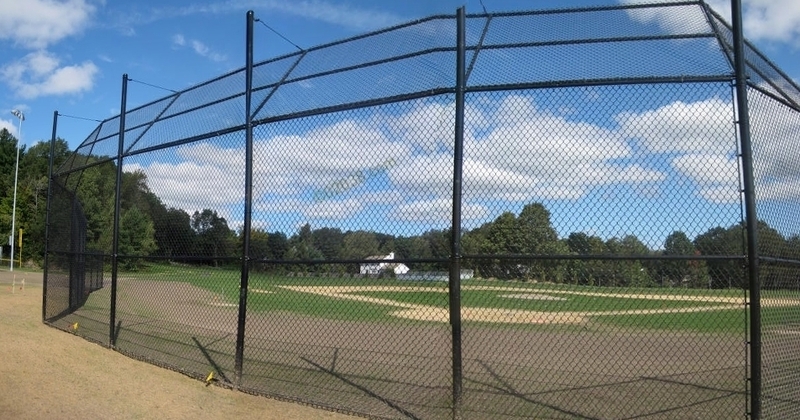 There are four natural grass ball fields under construction. These will be used for baseball and softball and are in the footprint of the old High School. The area covered by these four fields is huge! There are also new tennis courts at the High School. These were being played on when I visited the site late one weekend morning. Top performing high school and low property taxes! 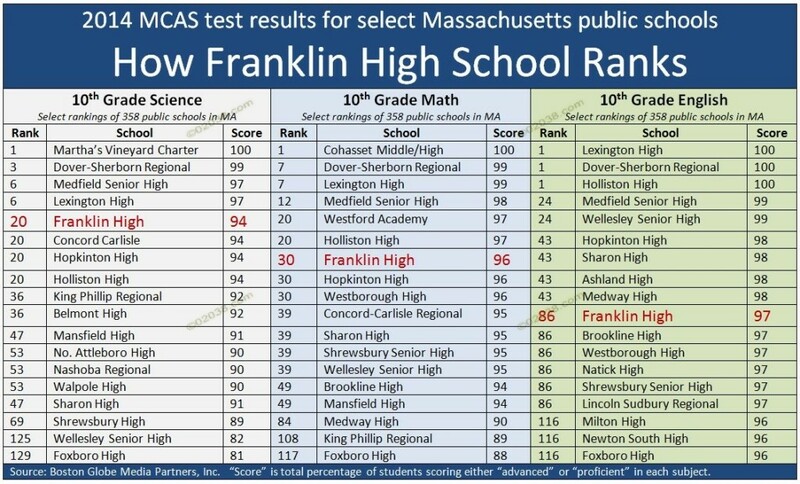 Franklin ranks in the top 7% of all public high schools in Massachusetts in Science and in the top 10% in Mathematics. 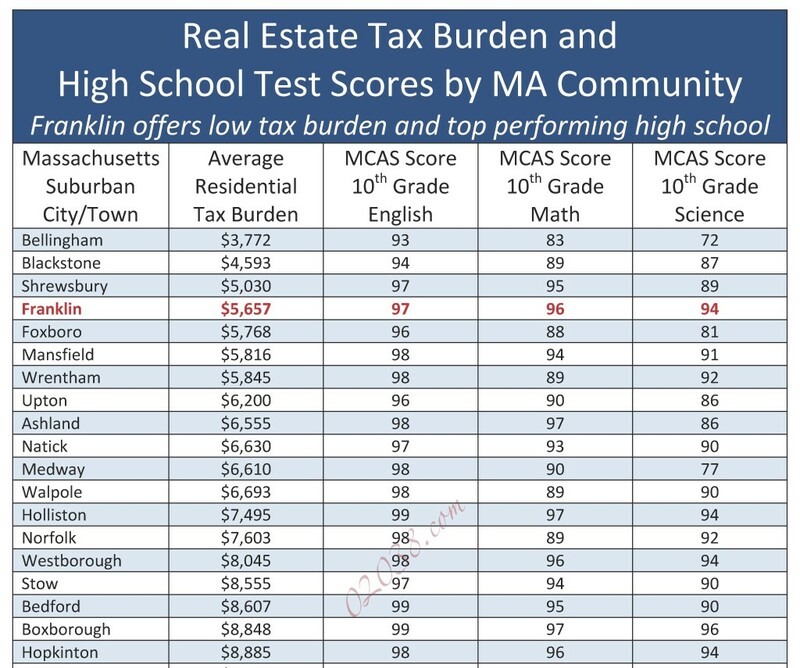 Yet, while Franklin High School posts such great test scores, real estate taxes in Franklin, Massachusetts are very low compared to other communities in the region with good schools! Franklin High beats the test scores posted by high schools in many of other communities that are viewed by many as top-performing AND Franklin’s real estate tax burden is a lot lower than what you’ll find in many of those same towns – it’s an unbeatable combination! Learn more about Franklin, Massachusetts here. 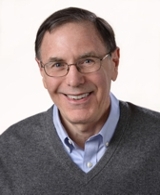 Contact Warren Reynolds if you’re interested in buying a home in Franklin!